If the files already exists from a former installation you can overwrite them. Then please start SiDiary from the scratch and go to menu 'Extras ->AddIns'. 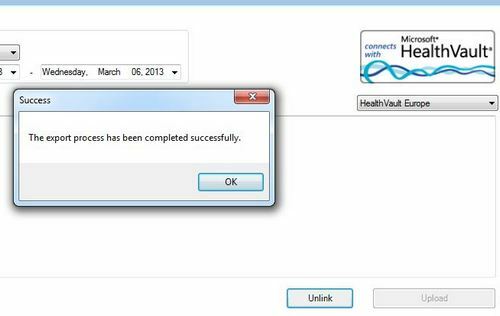 Make sure, that the checkbox for HealthVault AddIn is set. 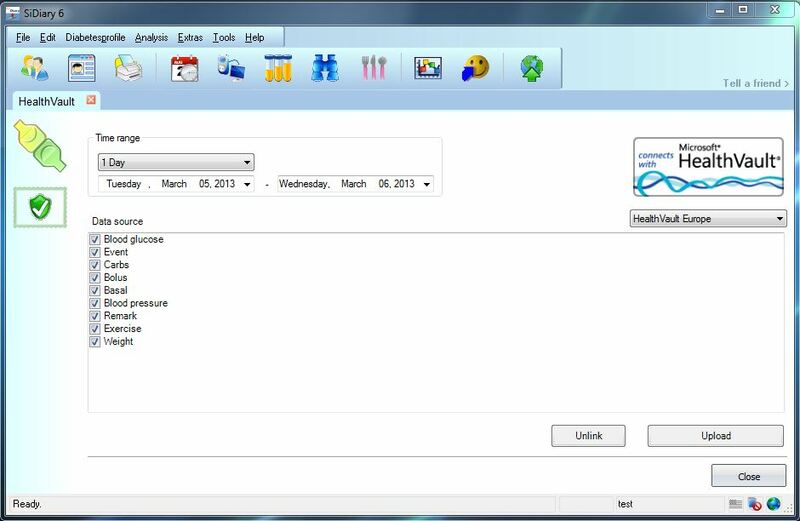 You can find the installed and activated HealthVault AddIn in the menu 'Tools -> HealthVault. If you have made your setting please click at the 'Upload' button in the lower right corner. Your web browser will redirect you to your HealthVault® login site where you can login with your Windows Live ID and your password. Usually it won’t be necessary to use the button ‘Unlink’. SiDiary stores the connection data to HealthVault so that the next upload in your HealthVault account can be directed faster. With 'Unlink' you can delete data, for example if you want to transfer data to another HealthVault account. 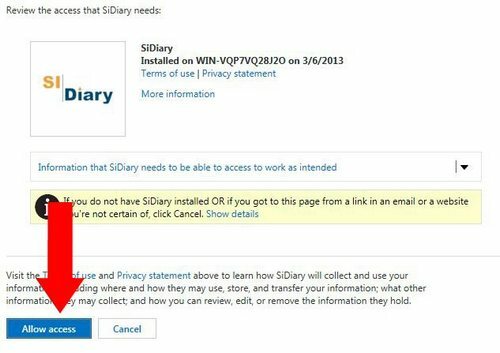 Once you have logged in HealthVault you have to allow access for SiDiary to your PC so the AddIn can transfer data to HealthVault. In your browser a message appears like 'You have granted access for SiDiary. You may close this window now' - you can do so. 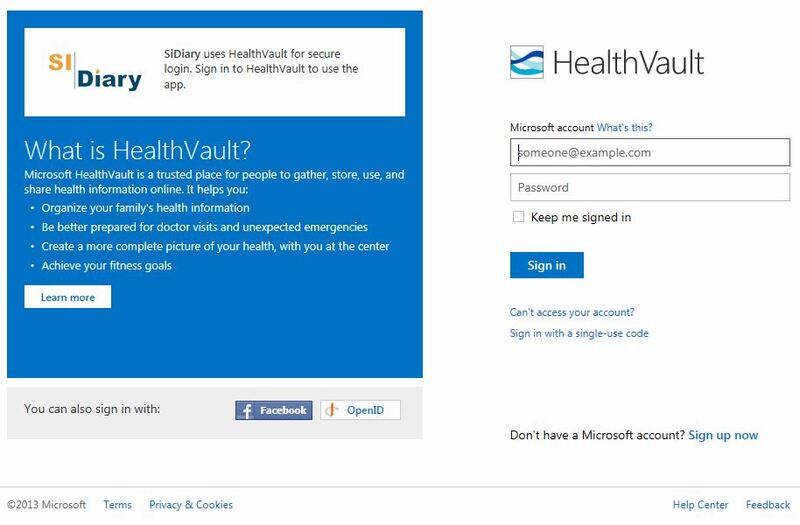 Now you can proceed to work with your SiDary or your personal health care record in Microsoft® HealthVault®.